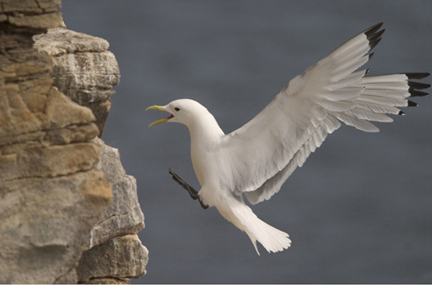 This Black-legged Kittiwake in Ekkerøya, Norway, is descending at an increasing rate as it approaches the cliff. How could this motion be described mathematically? Our AP mathematics courses are taught at a university level and allow students to investigate many mathematical concepts throughout these courses. In addition, and as an integral part of these courses, analytical thinking and reasoning are developed. The mathematics knowledge developed in these courses is both theoretical and applied. Calculus is at the heart of much of science and its development in studies of motion led to a revolution of thinking that has impacted all of science and many fields including engineering, economics, and related technical fields. Statistics is used daily the sciences, social sciences, engineering, medicine, law, business, as well as other areas. AP Statistics This course is an introductory university level course in the applied mathematical field of statistics. It is equivalent to one semester of university statistics and will cover the topics of data analysis, experimental design, probability theory and applications, and statistical inference, including tests of significance. Calculus AB/BC: This course covers two full university semesters of calculus (Calculus I and II). We cover differential and integral calculus through infinite series. In this course students typically experience a tremendous personal growth as they master a challenging and fulfilling subject. The course content for AB/BC is the same as for BC. Both cover two semesters of calculus, but AB/BC meets for 90 minutes each day for the entire year and earns two AP credits, while BC meets for 45 minutes all year and earns one AP credit. AB/BC students will take a single AP exam (BC) in the spring. Dr. Newsome has taught AP Calculus and AP Statistics since coming to the Career Center in 2000. She has undergraduate degrees in both Mathematics and Mathematics Education from the University of South Florida, Tampa. She also holds a Master of Science in Zoology (USF, Tampa), a PhD in Biochemistry (Wake Forest University), and National Board Certification in Adolescent and Young Adult Mathematics.